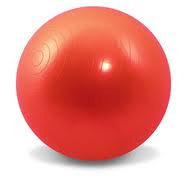 Sit on it, bounce on it, put it on the floor. Sitting on 'The ball' seems to be top of the list of theories. Sit on it, bounce on it, move your hips like Elvis. Hundreds of women sat on the sofa, slouching feeling confused. And if it really makes a difference if you sit on it while watching TV. Haha! I know my sister didn't much like hers when she was pregnant, though apparently balancing on it when giving birth, whilst on gas and air, was rather amusing! I might not be pregnant, but I love my ball! It has made a huge difference to my back pain, and helps me do several stretches which help my neck pain and headaches too. The sofa is definitely less fatiguing though!